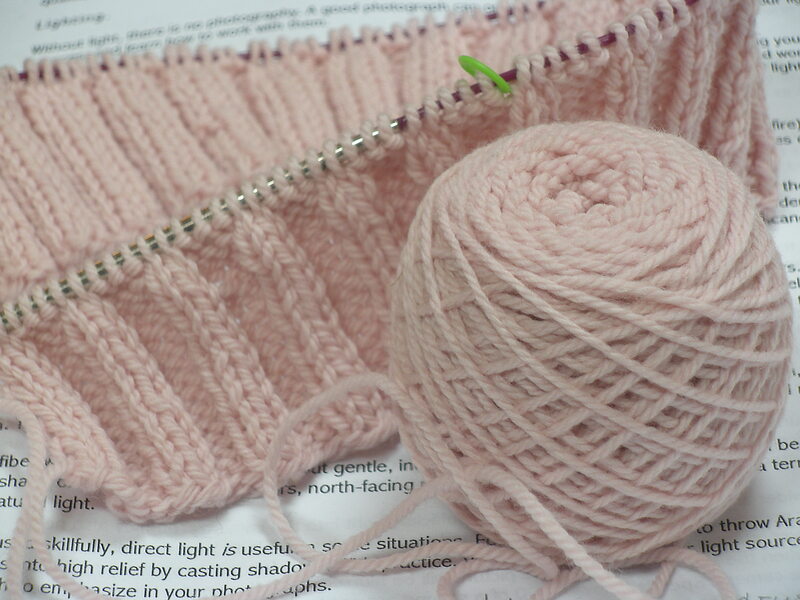 I am knitting the lovely Soay designed by Gudrun Johnson. It is exactly the sweater I crave right now. A little feminine, scoop necked, short sleeved cardigan that will work with almost every warmish weather thing I own. And I am knitting it out of the nicest yarn: Quince and Co.’s Chickadee in the perfect slightly pink shade they call Dogwood. I had the most blissful day with my knitting buddy Susan V. taking the train to Portland and purchasing the yarn, and eating my favorite pizza ever, so the whole project just makes me smile to think of it. I have to frog. I love the knitting, but I hate the ripping. Last night I couldn’t even look at my knitting bag. I watched an entire episode of Madmen without knitting. That’s right. I just sat there with my fingers twitching. Sigh. Tonight, after everyone has finally passed their melting point, and the house is quiet and sane, I will unravel my work. And then I will patiently pick up my stitches, and begin again. This entry was posted in Knitting and tagged Gudrun Johnson, Knitting, Mistake, Portland, Soay, Sweater, Yarn. Bookmark the permalink.